A group of riders has been growing out here in the mountains of Colorado. 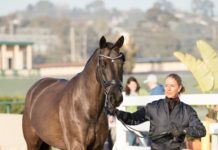 I am an endurance rider who rides with Easyboot Gloves or Glue-Ons. 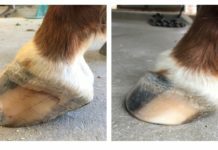 This summer I have found quite a following of trail riders that are or are interested in the barefoot horse and natural hoof care. As a barefoot trimmer, I have been very excited about the interest. There are six of us now who ride together. All of these newbies will be trying their first endurance ride at Moab this year. 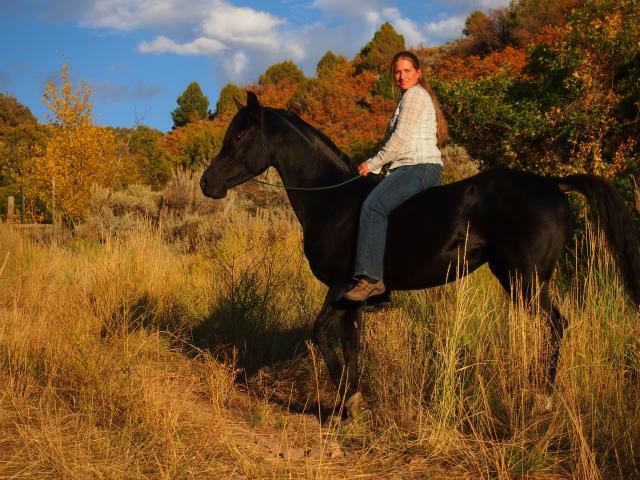 I have found such joy in bringing these new riders into the world of endurance and the barefooted horse. We have almost all types of terrain out here, everything from extreme rocks, sucky mud, water, hard roads, and everything in between. 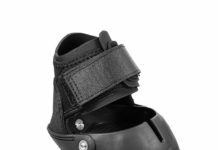 We also have the challenges of, the wide hoofed, the club hoof, the shallow soled, and the mule footed. The Easyboot Gloves have done great in all circumstances. I own the wide hoofed horse and have been so happy with the new Glove Wides. My first endurance ride with them was at Turkey Creek this year. I can’t tell you how happy my horse and I have been with them. As the ride season is drawing to a close, I just wanted to share that some great things are happening out here in Eagle, Colorado. I hope to bring these newbies along for the 2012 ride season. I hope this finds you all enjoying the cooler weather and those beautiful animals we all love so much, the horse!